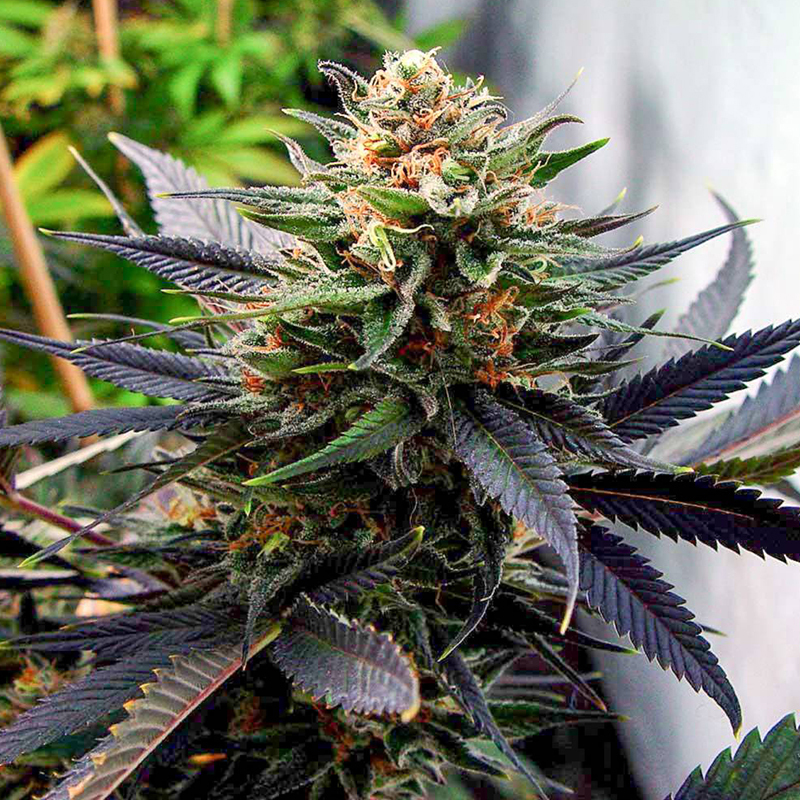 Lavender bulk cannabis seeds bring together wonderful genetics from around the world! Strains with histories that traverse Afghanistan, Hawaii, Korea, the U.S, and Europe are all melded together in this 3-way cross. An exotic looking strain, Lavender develops the darkest purple coloration you can imagine. The color is intense, with the leaves turning nearly to black at the ends, they are so deeply saturated with color. The extra dense buds give off a sensually spicy smell akin to Afghani hash. The high calyx to leaf ratio and the legginess of this plant make for simplified manicuring. While not as tall as the Haze strains, Lavender can shoot to tall heights when allowed an extended vegetation period before being placed into the flowering phase. If grown in a sea of green, Soma recommends shortening the veg cycle in order to control the height. This strain will also do well as a multi-branched plant. Outdoors, this variety can thrive in most temperate zones, although arid climates known for their rich agricultural promise are of course optimal. Lavender has a flavor that is similar to Afghani hash, producing a captivating high that circulates through every chakra. A terrific evening or rainy day smoke, Lavender will leave you feeling relaxed and mellow, possibly to the point of sleep. These cannabis seeds are a beast, a massive yielder and quite simply a big favorite amongst the more..
Auto-flowering strain with tall stature and high production. This 4th generation auto-flowering stra.. This crossing of two of our selected Best Sellers in Oakland, which give us a truly an amazing plant..